The Family Panel Reviews : TalkTalk: Get Ready for a Super Boost! TalkTalk: Get Ready for a Super Boost! In our latest TalkTalk review, we will be learning all about the new YouView TV Player, coming next week to all Youview TV customers for free! All their 1 million plus TV viewers will soon be seeing a completely new, slicker and user friendly TV Player, with more great films and TV shows available. The new improved TalkTalk player will include on-demand movies,via the improved TalkTalk Box Office service (for the same price as before). This will now house even more releases available from the same day the DVD is in the shops, like Hunger Games, Catching Fire, The Wolf of Wall Street, American Hustle and 12 Years a Slave. It will also have even more series than ever before of top telly from here and in the states. For those who prefer a good live TV show, it will now be easier for customers to find all their favourites and view channels they have in their subscriptions, via the new "included Channels" feature. All prices for on demand "box sets" are now more clearly visible, and no one can watch them or pay unless they know the correct pin, and there will be hundreds of hours to keep all binge watchers happy. The monthly flexible boosts are still available to all customers, letting you pick and choose depending on your mood and pay on a month by month basis- if you get bored, its a simple click on the account page online to remove them. It also still includes all seven recently added bundled Sky TV channels, viewable by pressing Guide on your YouView remote. The new TalkTalk Player is the latest way TalkTalk has found to enhance its YouView TV service, making their customers experience as great as can be for a price that they'll love. In April, TalkTalk joined forces with FilmFlex to significantly expand its movie library and offer hundreds more movies on demand, as well as adding Sky TV channels, more kids TV and new African based channels too. 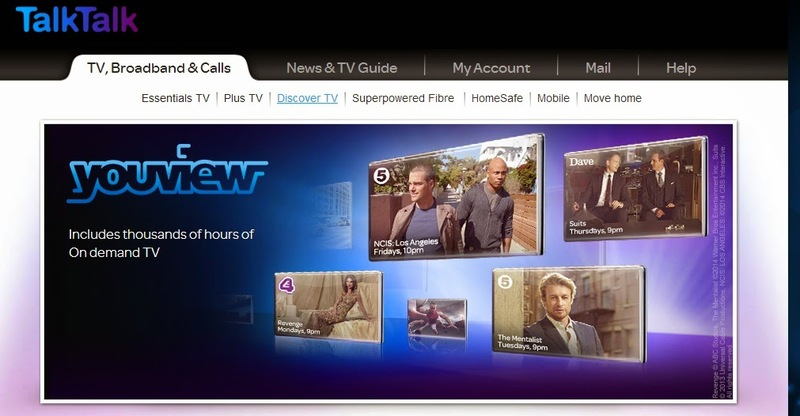 Tristia Harrison, Managing Director for Consumer at TalkTalk commented: “YouView from TalkTalk is fast becoming a destination for family entertainment and our all-new TalkTalk Player offers more of the best TV and movies at a cost viewers can control. We've made our on-demand movies, kids and Sky entertainment library bigger than ever and the TalkTalk Player is faster, and smarter, making it easier to find shows and films you want to watch." You can see all these great improvements as they roll out across the country from the 11th June. So, what are you waiting for, connect your YouView box today, and get pressing that remote!